What options does a client have if he or she disputes the legal fees charged by an attorney? What if an attorney demands money from you that you do not believe you should have to pay? Can you dispute legal fees when they are paid from a contingency agreement? What if an attorney sues you for legal fees? Last question first: of course, if you are sued you should immediately seek the advice of an attorney. But unless you are sued, you probably will have several options depending on your circumstances and where the attorney is located. This post won’t review every option, but just provide an overview. 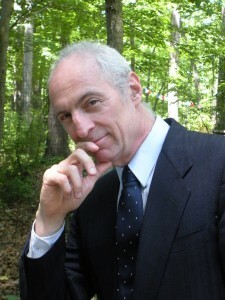 I primarily practice in Connecticut and New York courts and provide helpful links on my link page for additional information. A fee dispute is different than a legal malpractice claim although they often go hand in hand. In other words, you may have an attorney who has done a good job for you overall, but may be overcharging you for the work, or charging for work never done. Maybe an attorney has done some work that wasn’t necessary or was done without your approval. If the attorney has not done a good job, the chances are that you will be unhappy with the fees that have been charged. Sometimes attorneys do not keep very good track of their time, and fill in time-sheets at the end of the day or even later, and their bills may not be accurate. You may be charged for expenses as well, either during the case, or the end of the case if payment is based on contingency. Has the attorney given you an accounting of every expense? A fee dispute may arise because you believe the attorney has overcharged you, charged for work the attorney did not do, or for work that was done incompetently. A fee dispute may also arise if an attorney believes you owe the attorney money that you have not yet paid. There are many different reasons to question legal fees and expenses. The question here is what options there are to resolve your concerns besides going to court. First, you should always look at whatever written agreement you have with an attorney since it may have provisions specifically addressing how disputes are resolved. If you and the attorney have both signed this agreement, that is what would control, then unless there is some question about the validity of the agreement itself. If you have an agreement that you must arbitrate any dispute, taking the case to court is not an option (unless you are able to challenge the validity of the arbitration provision). If there are no limitations on how disputes are handled, you could then file a lawsuit. Though there are sometimes circumstances when this is the best option, it is usually the most expensive and drawn out process. In New York, clients generally can have fee disputes arbitrated (although there are certain limitations), and attorneys in New York generally would have to notify the client of this option. In Connecticut, fee arbitration is optional and may depend upon the agreement that you have with your attorney. If it is a part of your agreement, then there will be arbitration. If it is not, then either party can request it, but the other party can refuse. If you have a good relationship with your current attorney, you may consider discussing your concerns or questions. However, if your concerns are serious or you suspect unethical conduct or malpractice, you may want to obtain the advice of an attorney before you communicate with your attorney. In arbitration, the parties let the arbitrator decide and are bound to follow the arbitrator’s decision. If there is no arbitration requirement, you may want to consider mediation, which brings all the parties together to negotiate, but any agreement is optional. A fee dispute is different than a legal malpractice case, although sometimes you may have both at the same time. Legal malpractice has to do with what kind of representation you received and whether the attorney’s errors or omissions damaged you monetarily. You may have an attorney who has done excellent work for you but you still might dispute their fees. One of the problems I have seen time and again over the years is that most attorneys and law firms do not provide clients with detailed records of what they do. Although you would think it would be easy for law firms to provide billing statements that show the exact time they started and the exact time they ended a particular task, all of the invoices I have examined over the years usually lump together multiple activities that make it very difficult for client to figure out how much time was spent on any one activity. Whatever the problem, it is always best to try to work out any issue regarding fees with your attorney, but this is not always possible. One word of warning: if you have a fee dispute, you also may have a potential legal malpractice cause of action. You have to be extremely careful on how the fee dispute is handled so that you do not lose your right to bring the legal malpractice action. Different states handle this differently, but in New York for example, you are expected to raise legal malpractice issues at the same time you have a fee dispute. Yet, the fee dispute process itself may not alert you to this important fact. 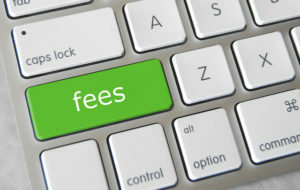 See my links page for links to additional information regarding the New York and Connecticut fee dispute programs. I will be adding other links for other states in the coming months. I will also address other fee dispute issues in the future such as what a court may consider a reasonable or unreasonable fee, the impact of unethical behavior on legal fees, options if an attorney has stolen money from you, what options you have if an attorney threatens to stop work until you pay fees, and much more.